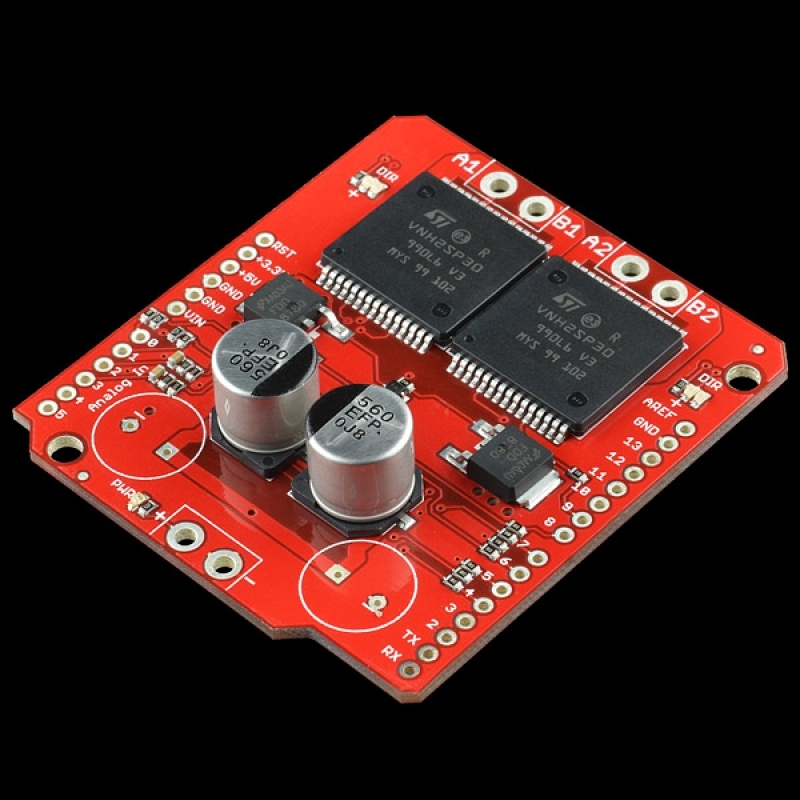 Description: This is essentially a ramped up version of our Ardumoto motor driver shield. For this monster shield we've replaced the L298 H-bridge with a pair of VNH2SP30 full-bridge motor drivers. We've also beefed up the support circuitry so this board is capable of driving a pair of high-current motors! The VIN and motor out are pitched for our 5mm screw terminals (not included), making it easy to connect larger gauge wires.